Near the centre of the small town of Saint-Maurice-Montcouronne, about 45 kilometres south-west of Paris, is a house and substantial property that was found by Eymard and purchased by the Blessed Sacrament Congregation in 1866 as both a future novitiate site and as a ‘place of solitude’ for prayer and contemplation. After restoration and completion of a chapel, Saint-Maurice was first occupied as a novitiate at Christmas 1866, when the Blessed Sacrament Congregation’s fourteen novices were transferred to Saint-Maurice from Paris and placed under the leadership of Fr Michel Chanuet. Saint-Maurice remained in the ownership of the Blessed Sacrament Congregation until the expulsion of religious in 1880. The Blessed Sacrament Congregation’s former presence at Saint-Maurice is also marked by the graves of early Congregation members in the local cemetery and by a statue of Eymard in the historic parish church in the centre of the village (the Church of Saint-Maurice) which dates back to the twelfth century. Saint-Maurice is significant as a haven where Eymard found peace in the final years of his life which were plagued by ill health and administrative worries. 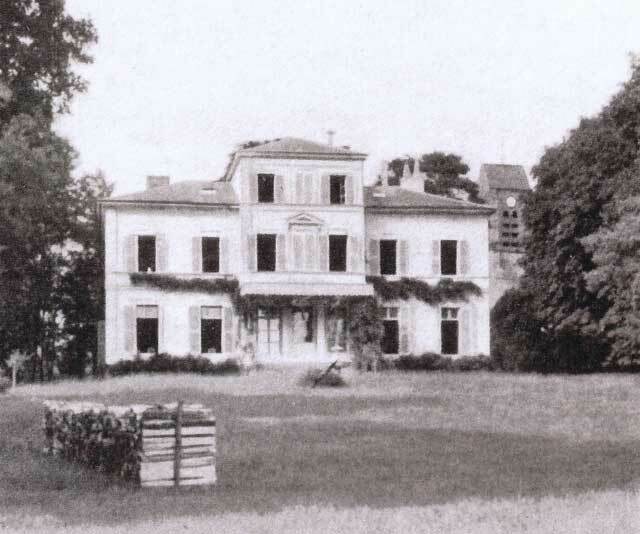 In a letter to Fr Raymond de Cuers, dated 28 June 1866, Eymard described the finding of the property as ‘a stroke of Providence, because there is everything we need for the Novitiate and later, for a house of solitude: 5.75 acres of enclosed land, a house in good condition which can immediately provide 25 rooms, and a suitable chapel’. Most of the purchase price of 77,000 francs was paid for by Fr Michel Chanuet, a member of the Congregation who came from wealthy and generous family. Eymard made a personal retreat at Saint-Maurice between 27 April and 2 May 1868. The eighteen pages of notes that he made during this retreat are now an important record of his deepest thoughts and personal spirituality. It was during this retreat, on 1 May 1868, that the title of Our Lady of the Blessed Sacrament was said to have been first attributed by Eymard to Our Lady. However, there is evidence in correspondence records that Eymard had used this title as early as 1859, and on more than one occasion in 1861. Our traditional understanding that Eymard first attributed the title of Our Lady of the Blessed Sacrament has been questioned by some modern scholars, who have observed that Eymard originally spoke of Our Lady of the Cenacle (in a reference to the ‘upper room’ where the Last Supper was held). It has been suggested that the term Our Lady of the Blessed Sacrament was preferred by Fr Raymond de Cuers, and when this term was strongly promoted by Albert Tesnière after Eymard’s death, devotion to Our Lady under the new title began to spread. The Catholic Church eventually made the title official. The Blessed Sacrament Congregation had originally wanted to bury Eymard at Saint-Maurice. A telegram expressing that desire was sent to La Mure when news of Eymard’s death was received in Paris, but the wishes of Eymard’s sisters and the people of La Mure for a local burial took precedence. Several Congregation members are buried in the cemetery at Saint-Maurice, including the Congregation’s co-pioneer Fr Raymond de Cuers who died on 21 June 1871. Grave of Fr Raymond de Cuers. Please note that the Congregation’s former property at Saint-Maurice-Montcouronne is now in private ownership and is not open to the public. 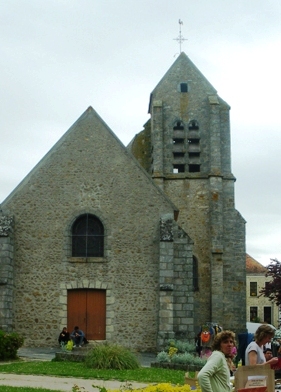 The graves of Fr Raymond de Cuers and other early Congregation members may be visited in the Saint-Maurice-Mountcouronne cemetery (located on rue de l’Égalité about 250 metres south of the town’s centre).